With the end of 2006 around the corner, we are back to share with you some of the events that shaped our lives this year. 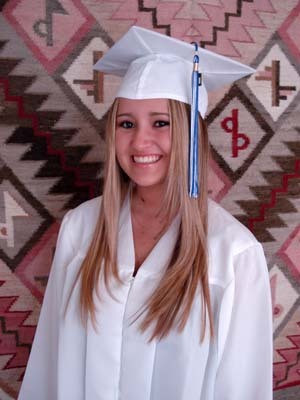 The biggest change for everyone was undoubtedly Sasha's graduation from Holmdel High School and her move to college. In February, the four of us made a final college exploration trip. We went to Syracuse (NY), Amherst (MA), and Boston. We visited Syracuse University in freezing weather, The University of Massachusetts at Amherst, Northeastern University, and Harvard. When we arrived in Syracuse, Sasha learned that she had been accepted to The University of Maryland, her second choice after Michigan. She was set on going to Maryland and in April Mauricio and Sasha traveled to College Park for a final visit. Sasha and Alec in Newbury Street, Boston, in February. Alec in Northampton, Massachusetts in February. After having told Maryland that she would be enrolling there in the Fall, Sasha got the good news from Michigan in mid-May and within a week, Lucia, Mauricio, and Sasha made the 650-mile 12-hour drive from Holmdel to Ann Arbor to see if Sasha would change her mind and enroll at Michigan instead. Inspite of the distance from home and the cold Michigan winters, she came to the conclusion that this was an opportunity she could not pass up. Sasha intends to major in Political Science. 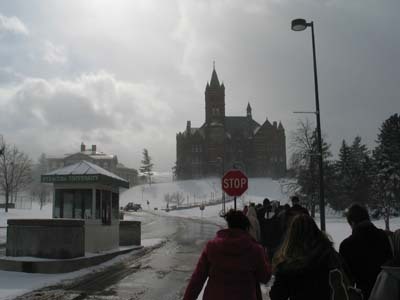 Touring Syracuse University in freezing weather in February. Sasha and Mauricio at the Law School Quad at the University of Michigan in Ann Arbor in May. In July, the four of us drove to Ann Arbor again. Alec wanted to know where his sister was moving to and Sasha and her parents had to attend a three-day Freshman orientation program where Sasha had the experience of sleeping at one of the dorms. Lucia and Alec in downtown Ann Arbor in July. 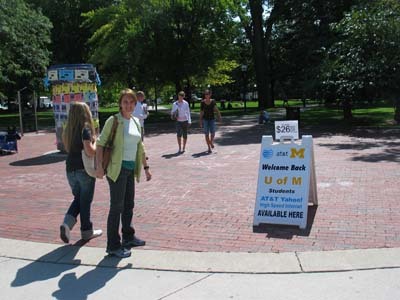 Alec at the Michigan Union at the University of Michigan in Ann Arbor in July. Sasha had been driving Mauricio's car since getting her driver's license. In April she started driving her own car. Seniors at Holmdel High School prefer anything than to be seen riding the school bus. 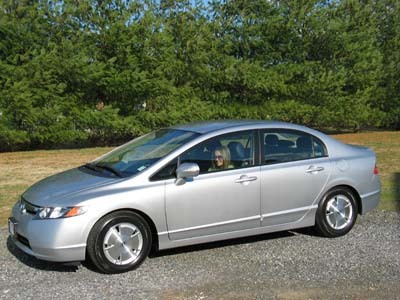 With her car, Sasha's friend Maria would no longer have to come pick her up in the morning. 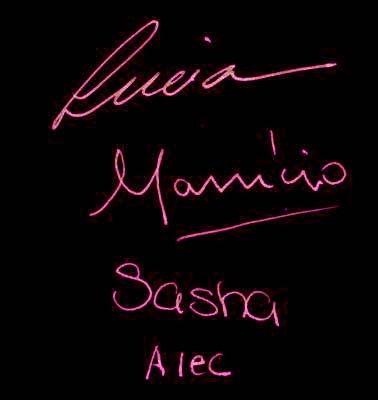 She and Alec could drive themselves. 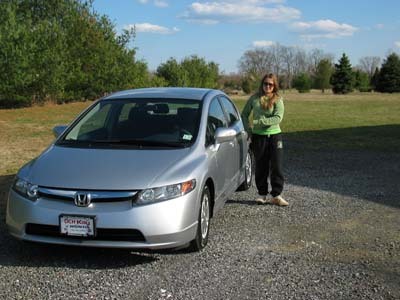 Sasha and her new Honda Civic Hybrid in April. 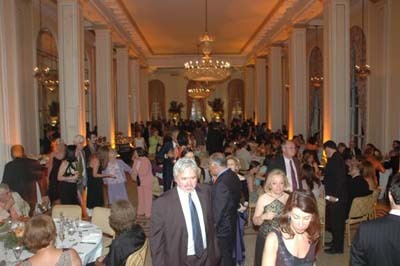 The big day in May, Senior Prom. Sasha at home ready for Senior Prom in May. Sasha with friends before leaving for Senior Prom in May. 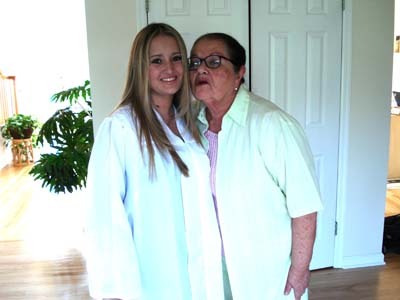 Sasha with grandma Renalva on graduation day. Sasha with friend Regina on Senior Prom night in May. Sasha ready to go to graduation ceremony. And in no time, Sasha had finished high school. Graduation was in June. Mauricio's mother Renalva came from Brazil to attend. As always, Sasha's nanny Maria was present. Sasha with Lucia before graduation in June. Sasha with car decorated for graduation in June. Sasha with Maria at end of graduation ceremony. 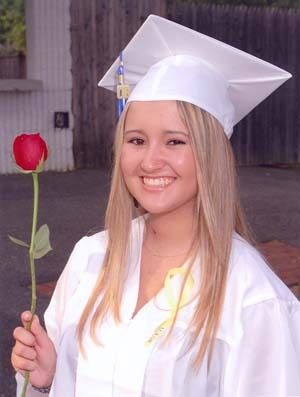 Sasha at Holmdel High School graduation in June. Sasha with Lucia at end of graduation ceremony. 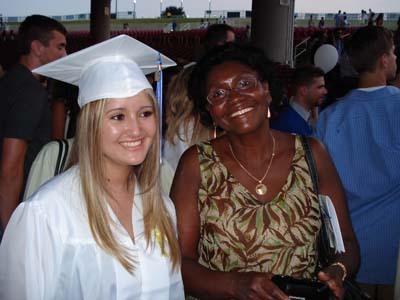 During the school year, Sasha continued working at the Perkins restaurant in Colts Neck, about 15 minutes from home. She started working there last year in August. In the summer she increased the number of hours and by the time she left for college she had a few dollars in the bank. 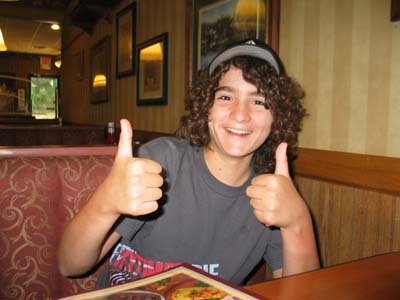 Alec always liked going to Perkins. Nothing can beat getting served by your own big sister. Sasha serving food at Perkins. Sasha serving dessert at Perkins. In the last week of August, we rented an SUV and the four of us again made the long ride to Ann Arbor. This time taking all of Sasha's stuff. We got her moved in and after three days left her with her dorm roommate Erin. A month later, Sasha was back home for a weekend, to vote in the Brazilian presidential election. Michigan is big in football and Sasha got season tickets for all the home games. The team did really well, getting a spot in the Rose Bowl vs USC. Mauricio went to Michigan for Parent's Weekend in October and Sasha came home in December for the holiday break. Alec enjoying good service at Perkins. Lucia and Sasha walking onto campus. Alec helping Sasha move into her dorm at Michigan in August. 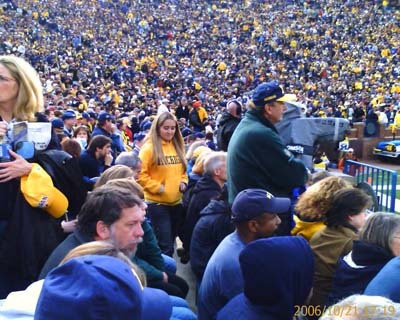 Sasha in Sea of Maize and Blue at Michigan game in October. 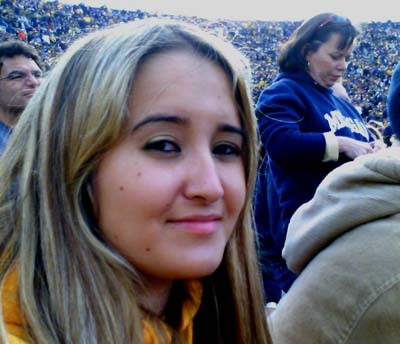 Sasha at Michigan football game in October. Alec started the 10th grade at Holmdel High School in September. 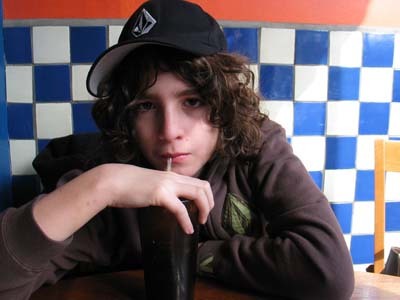 He enjoys South Park, Daily Show with John Stewart, The Colbert Report, skateboarding, playing electric guitar and electric bass, computer programming, and playing soccer. Alec spent a week in the summer at Cornell University for a science camp which he enjoyed a lot. He traveled there with our friend Linda Rhodes and her son and Alec's friend Adam. As he gets closer to college, its seems he will want to pursue an education in computer science. This year he learned Python, Scheme, and C++, three popular computer programming languages, adding to the list of languages he had learned last year: Java, C, and Perl. 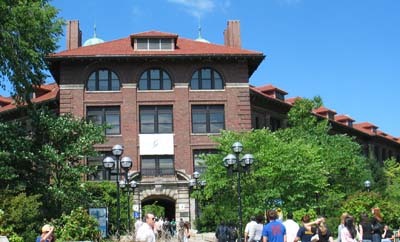 The University of Michigan. 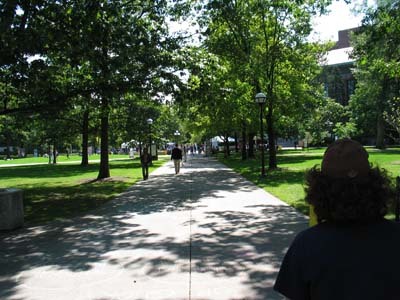 The University of Michigan. Alec's travel soccer team, the Torpeodes, continues together. At this age many travel teams in the US break apart. The team did lose a few players in June but merged with another team from Old Bridge, NJ and at this time has an almost full roster of 17. Mauricio and KK continue to help out as assistant coaches. George Vichniakov is still trainer and head coach. In the spring, the team played in National 1 division in the Monmouth Ocean Soccer Association, claiming first place and rising again to the Premier division. In the fall, the team did not do so well but will continue in Primier since fall standing has no bearing on the makeup of the divisions in the spring. Alec playing forward on the Torpedoes. 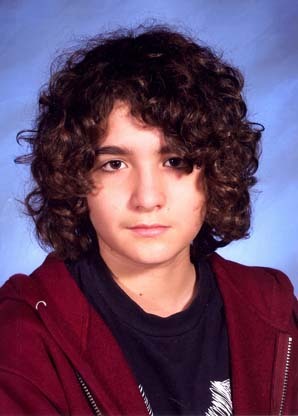 Alec as a 10th grader. 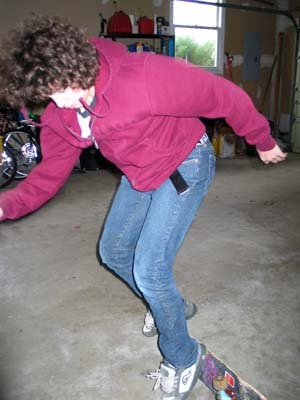 Alec skateboarding. 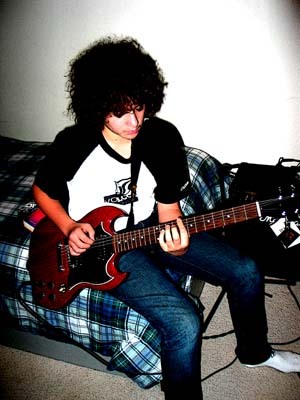 Alec plays the guitar. Lucia and the coming of Spring in Holmdel Park in April. Lucia had a busy year. Work at AT&T, as usual, was hectic with lots of meetings, projects, etc. She traveled to Brazil twice, both times to be with her parents because of health issues. Lucia's first trip to Brazil was in March. In October, her mom Maria Ignez began chemotherapy for breast cancer. Because Sasha would be moving to college in the fall, this year we did not take our customary trip to Brazil for summer vacation. Lucia enjoying Spring at home in April. Lucia with Alec and Sasha at beach in Belmar, NJ in May. Lucia continued working on her beads in her free time. She took part in two street fairs this year. The first was in Springfield, NJ in May. The other was in nearby Red Bank in September. Lucia enjoying Fall at home in October. Lucia parents Orestes and Maria Ignez in Rio in November. 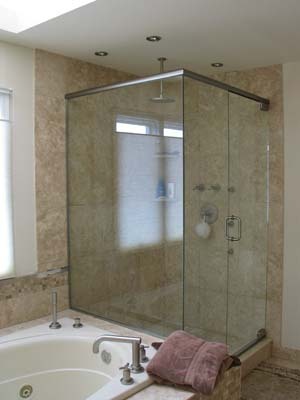 Lucia managed two big home improvement projects. 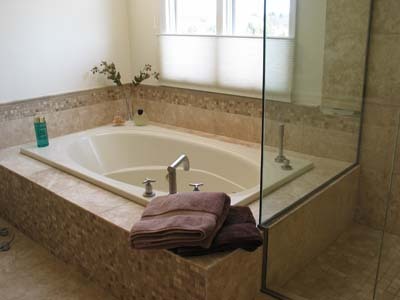 These projects were a redesigned master bathroom and a driveway made with pavers. Both were quite complex, taking a lot of time to design and carry out. 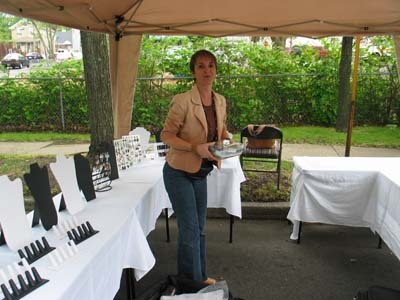 Lucia selling her jewelry at street fair in Springfield, NJ. 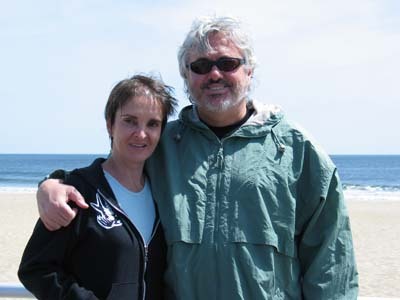 Lucia with Mauricio in Belmar, NJ. The driveway extended the walkway we rebuilt last year. The excuse for the new bathroom was to deal with a leak we had been trying to repair for some time. New driveway built in July after a lot of designing by Lucia. 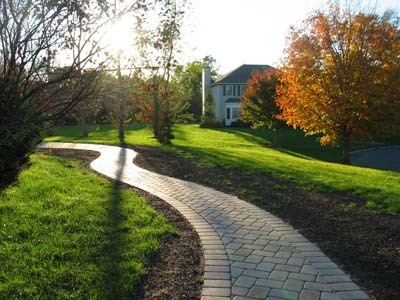 Walkway built in 2005 inspired design of driveway. 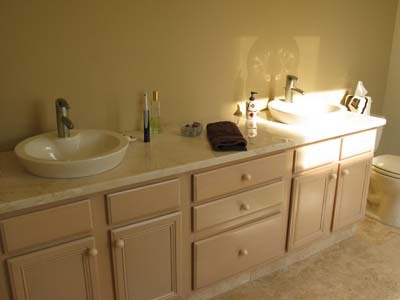 New master bathroom. The project started in January but was only done in March. In Rio in October, Lucia also attended the 30th aniversary of her high school graduation from Colégio Teresiano and the 19th birthday of our niece and goddaughter Dominique. Lucia with goddaughter Dominique and Maureen in Rio in November for Dominique's 19th birthday. 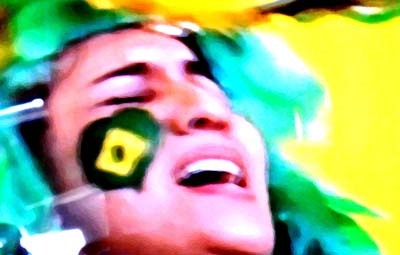 One of the big events of the year, at least for Brazilians, was the FIFA World Cup, held in Germany. We were all very excited because Brazil had, theoretically, a very strong team and was considered by most experts to be the big favorite to take the title. We prepared for the cup by finally buying a plasma HDTV set and watched the games in High Definition. Our friend Beto Avritzer came over to watch most games. 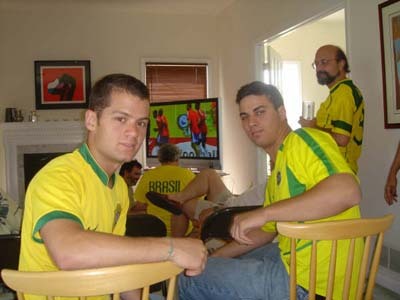 We had a big party for the Brazil-Australia game and were preparing a bigger one for the big final. Argentine friends Martin and Laura Ravetti visited during the start of the cup and watched some of the matches with us. Lucia with Brazilian friends during World Cup party. 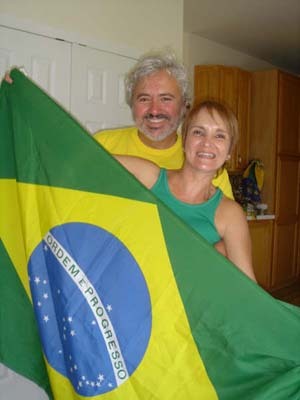 Maurico and Lucia cheering for Brazil during World Cup. We even got a new HDTV to watch the cup. Mauricio as a Brazil supporter in Reykjavik, Iceland. FIFA 2006 World Cup in Germany. Brazil disappoints. Mauricio traveled to Iceland for a conference and made sure his travel did not interfere with any of the matches. He watched the quarter and semi finals in Reykjavik with, among many operations research friends, João Lauro Facó, Celso Ribeiro, Ilan Adler, and Ana Viana. But France knocked Brazil out of the cup in the quarter final. Mauricio at Sun Voyager in Reykjavik in July. After midnight sun in Reykjavik, Iceland in July. Iceland was very nice though also very expensive. The 24-hour daylight was invigorating. For summertime, it was quite chilly. It was nice the wade in the volcano-heated waters of the Blue Lagoon. 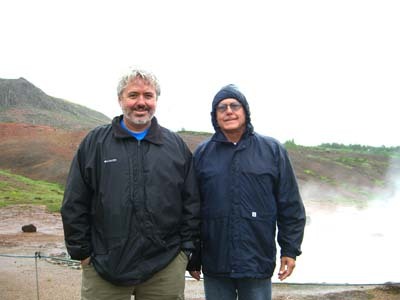 Mauricio with João Lauro Facó in Geysir, Iceland. Mauricio at Blue Lagoon in Iceland. 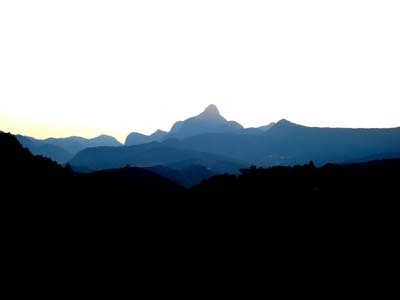 In late July, Mauricio traveled to Rio for the International Symposium on Mathematical Programming (ISMP 2006). Thanks to conference chairman Nelson Maculan, who lobbied hard three years ago, the ISMP was held in Brazil and for the first time in the southern hemisphere. Mauricio at Gullfoss Falls in Iceland. Mauricio with conference chair Nelson Maculan at ISMP 2006 in Rio in August. At the ISMP, Mauricio met Luciana Buriol who now is an assistant professor at the Computer Science Institute of the Federal University of Rio Grande do Sul in Porto Alegre. Luciana was an intern at AT&T Research working with Mauricio in 2001-2002. 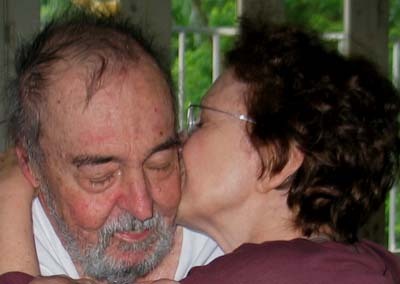 She wrote her Ph.D. thesis at UNICAMP under his co-supervision with Paulo França. Mauricio with Luciana Buriol before giving his talk at ISMP 2006 in Rio in August. Mauricio with Patricia Antunes at Saudades 2006 welcome cocktail in Rio in August. 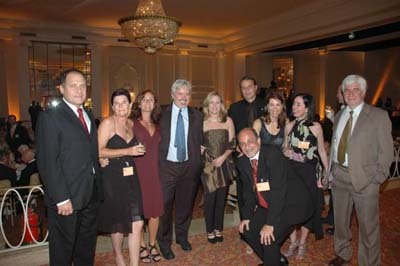 Another reason for Mauricio to go to Rio in August was to take part in Saudades 2006, a reunion of Escola Americana alumni. Alumni traveled from all over the world, coming as far as Hong Kong, Alaska, and Dubai, not to mention New Jersey. There was a whole week of events and Mauricio got to reunite with friends he had not seen in over three decades. It was wonderful to see how quickly old friends can renew their ties. 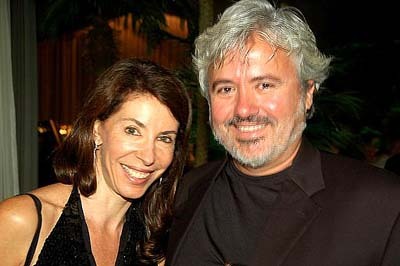 Mauricio with Patricia Antunes at Saudades 2006 dinner at Copacabana Palace in Rio in August. Mauricio with former schoolmates at Copacabana Palace in Rio in August. While in Brazil, Mauricio also spent some time with his mom, Renalva, at her countryside home in Itaipava and managed to go to São Paulo to give a talk at the University of São Paulo, thanks to the kind invitation of Débora Ronconi. Mauricio at University of São Paulo before giving talk in August. Sunset at Mauricio's mom's home in Itaipava, Brazil. 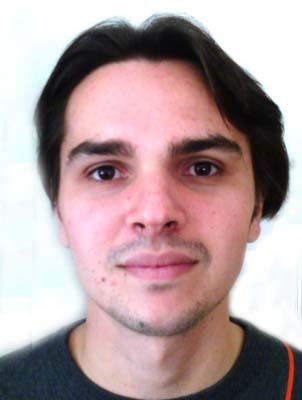 In September, Mauricio received Thiago Noronha, Ph.D. student of Celso Ribeiro to intern at AT&T Research. Thiago will spend six months working with Mauricio on his Ph.D. thesis. Mauricio also traveled to the University of Florida in Gainesville in March, where he worked with Panos Pardalos, Michael Hirsch, Martin Ravetti, and Tania Querido, to Dallas in May for a telecommunications conference and to the University of Arizona in Tucson in November to give a talk, thanks to the kind invitation of Leonardo Lopes. Thiago Noronha in September starting six-month internship with Mauricio. Mauricio near Tucson, Arizona in November. A sad note to report was the passing of Renata Aiex in February. Renata was an intern with Mauricio in 1999-2000 and was a dear friend to all of us. 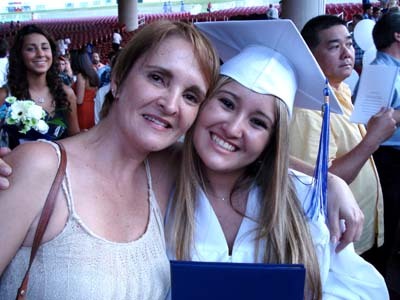 Renata battled breast cancer for fifteen months. never complaining, alway optimistic. As a friend of Renata's from California wrote "Renata was so gentle, so soft, yet strong in her ways." 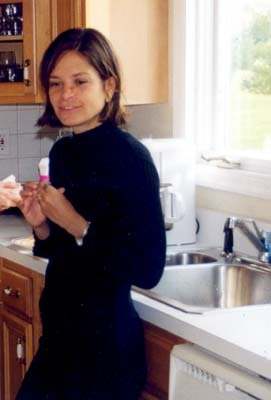 Renata Aiex in 1999 starting a one-year internship with Mauricio at AT&T Research to work on her Ph.D. thesis. 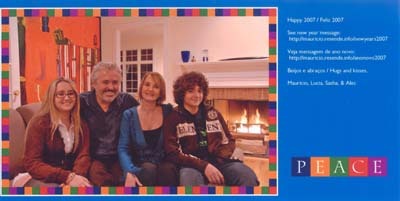 We wish you a 2007 full of health, happiness, and success.